This year's Pantone Color of the Year embraces the warm and the cool. Linen kettleby left sectional, available at Anthropologie. 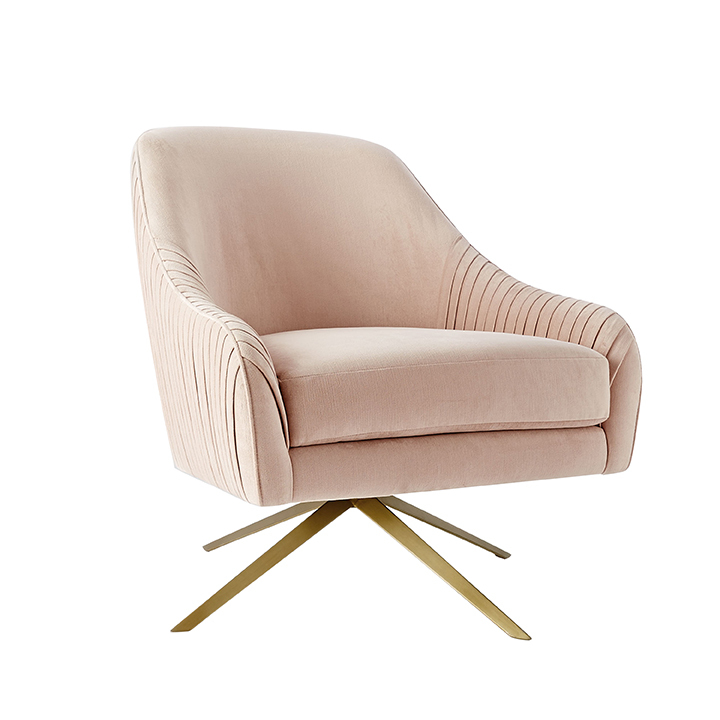 Roar and rabbit swivel chair in dusty blush, available at West Elm. Rose quartz art glass lamp, available at Wilson Lighting. Latte mug in sky blue, available at Anthropologie. Pink tulips in silver vase, available at The Jeweled Cottage. Into the woods fabric, by Jane Churchill, available at The Great Cover-Up. 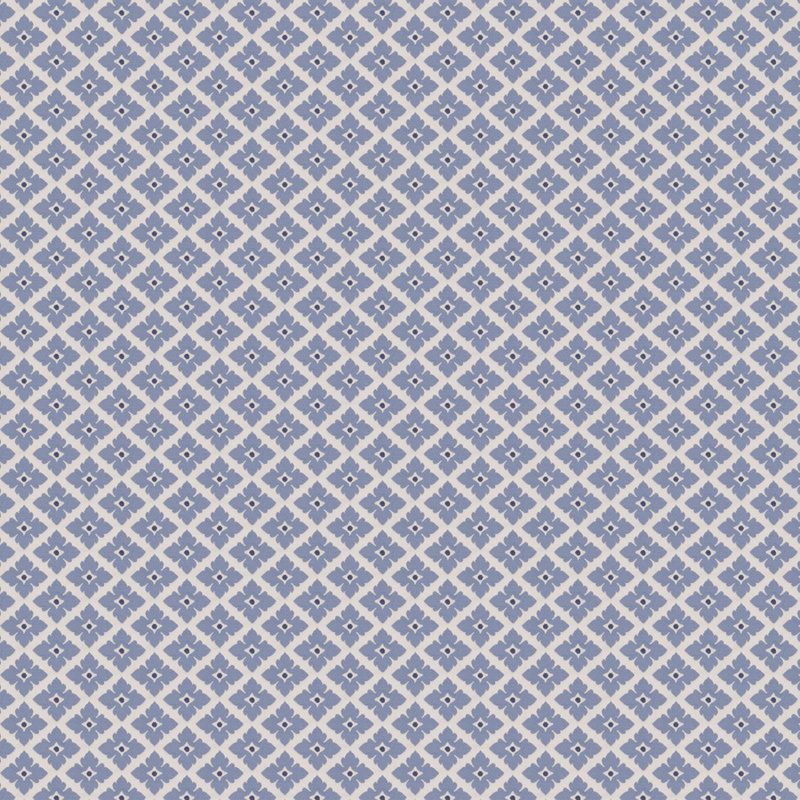 Xanadu indigo, by Bailey & Griffith, available at The Great Cover-Up. 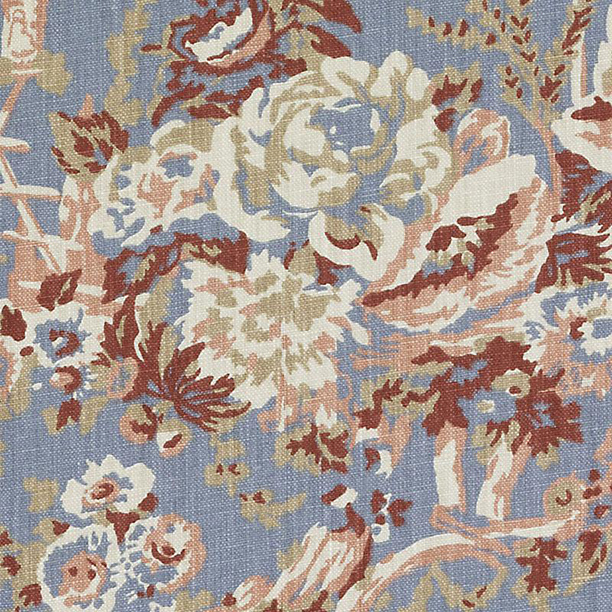 Charlotte rose, by Fabricut, available at LuLu Belles Fabrics. Acting out Lakeland, by Fabricut, available at LuLu Belles Fabrics. 1984 Maxine dining chair, by Jessica Charles, available at KDR Designer Showrooms. Multicolor pillow, available at The Rusted Chandelier. 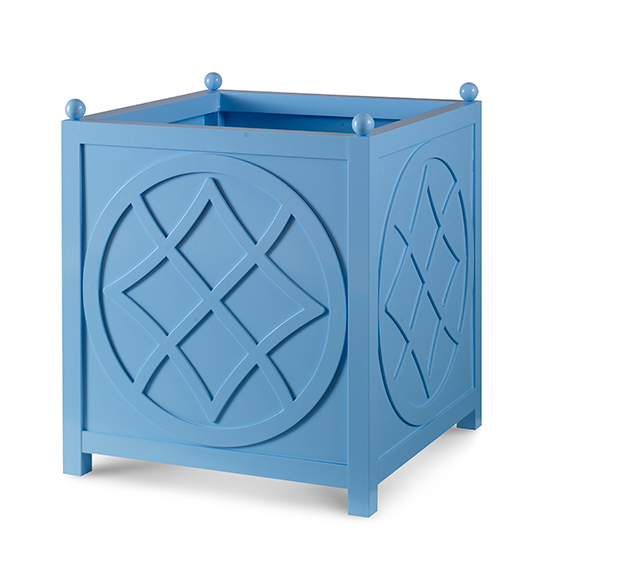 Litchfield planter, by Bunny Williams Outdoor collection for Century Furniture, available at KDR Designer Showrooms. Parchment check groovy canister, by MacKenzie-Childs, available at Three French Hens and B. Davis Design. Blue wood vessel, available at The Rusted Chandelier. For the first time ever, PANTONE, the industry authority on color, has named two colors for their annual Color of the Year. 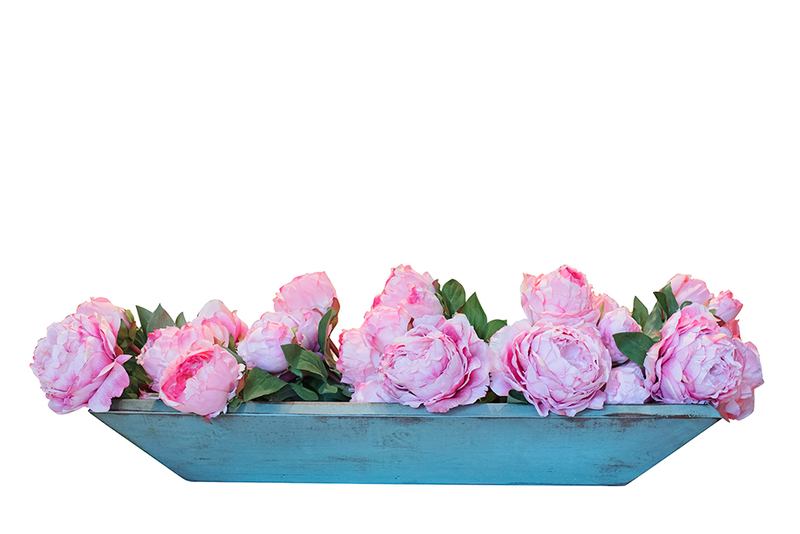 Rose Quartz and Serenity offer a softer take on color. Striking a balance between a warmer embracing rose tone and a cooler tranquil blue, this year’s Color of the Year is Rose Quartz and Serenity. Leatrice Eiseman, executive director of the PANTONE Color Institute, says, “Joined together, Rose Quartz and Serenity demonstrate an inherent balance between a warmer embracing rose tone and the cooler tranquil blue, reflecting connection and wellness as well as a soothing sense of order and peace.” Strike a soft balance between warm and cool in your own home by mixing in accents of Rose Quartz and Serenity. 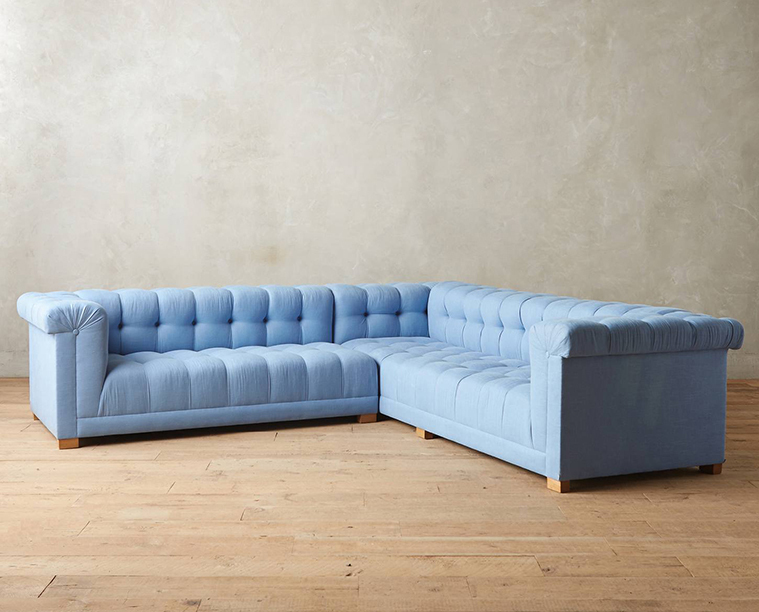 one: Linen kettleby left sectional, available at Anthropologie. two: Roar and rabbit swivel chair in dusty blush, available at West Elm. 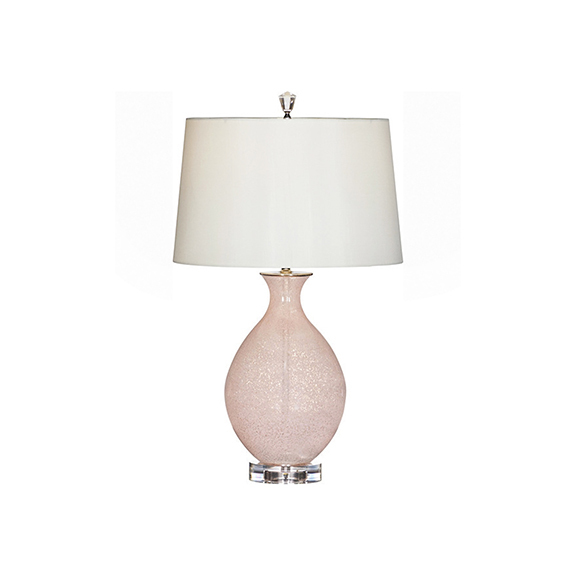 three: Rose quartz art glass lamp, available at Wilson Lighting. 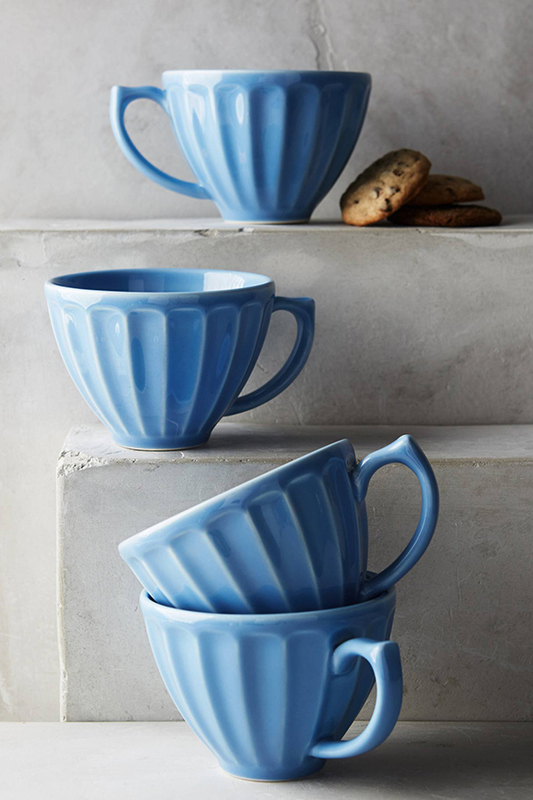 four: Latte mugs in sky blue, available at Anthropologie. 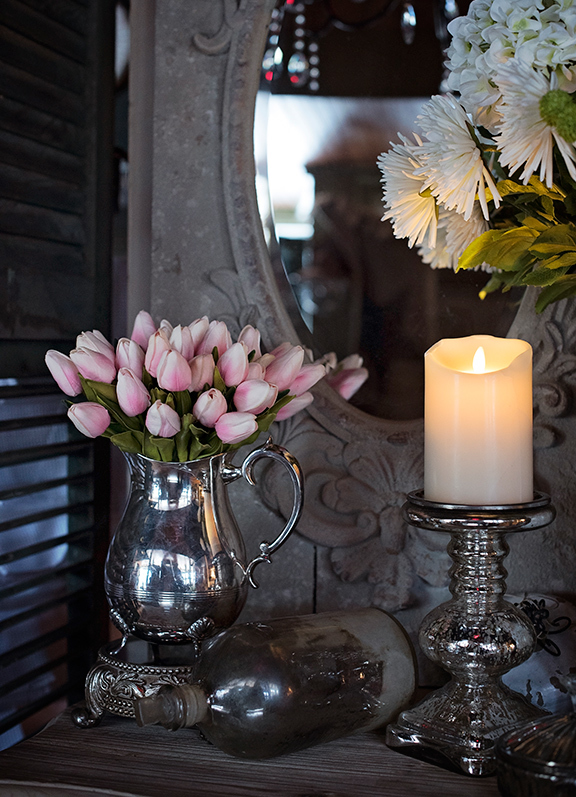 five: Pink tulips in silver vase, available at The Jeweled Cottage. 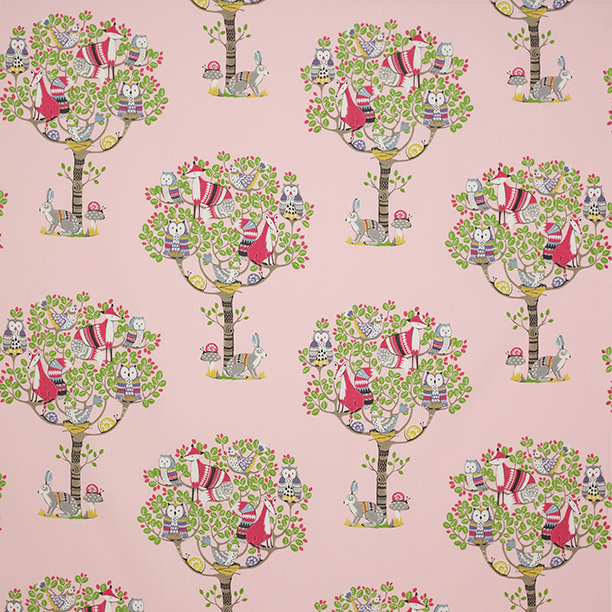 six: Into the woods fabric, by Jane Churchill, available at The Great Cover-Up. seven: Xanadu indigo, by Bailey & Griffin, available at The Great Cover-Up. 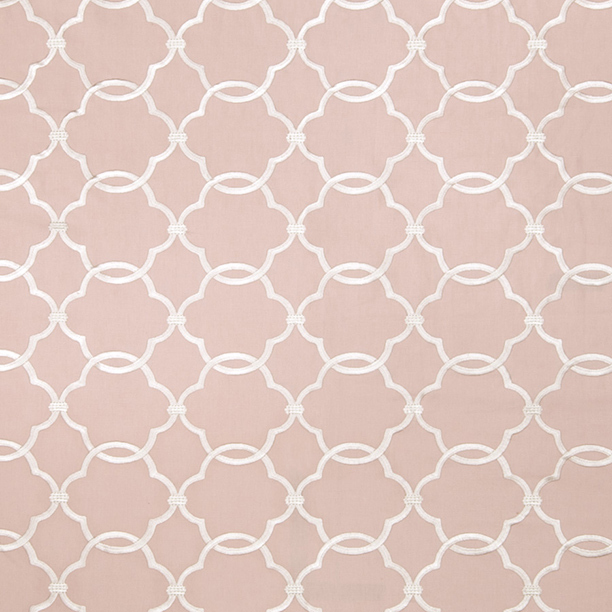 eight: Charlotte rose, by Fabricut, available at LuLu Belles Fabrics. nine: Acting out Lakeland, by Fabricut, available at LuLu Belles Fabrics. 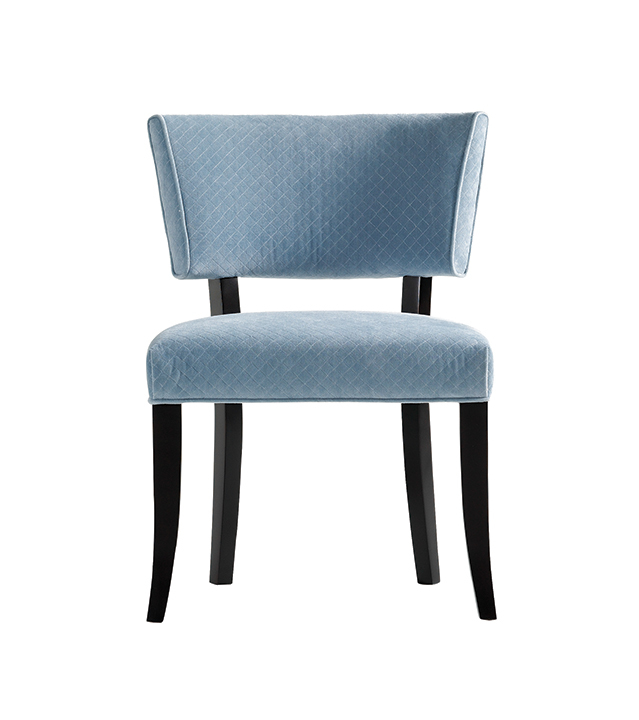 ten: 1984 Maxine dining chair, by Jessica Charles, available at KDR Designer Showrooms. 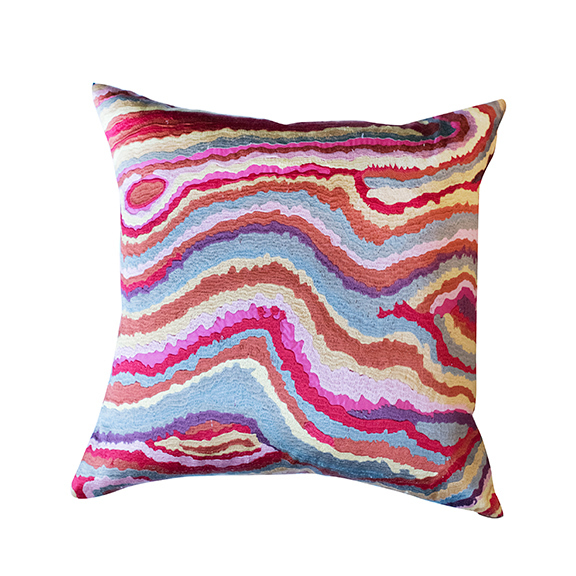 eleven: Multicolor pillow, available at The Rusted Chandelier. twelve: Litchfield planter, by Bunny Williams Outdoor collection for Century Furniture, available at KDR Designer Showrooms. 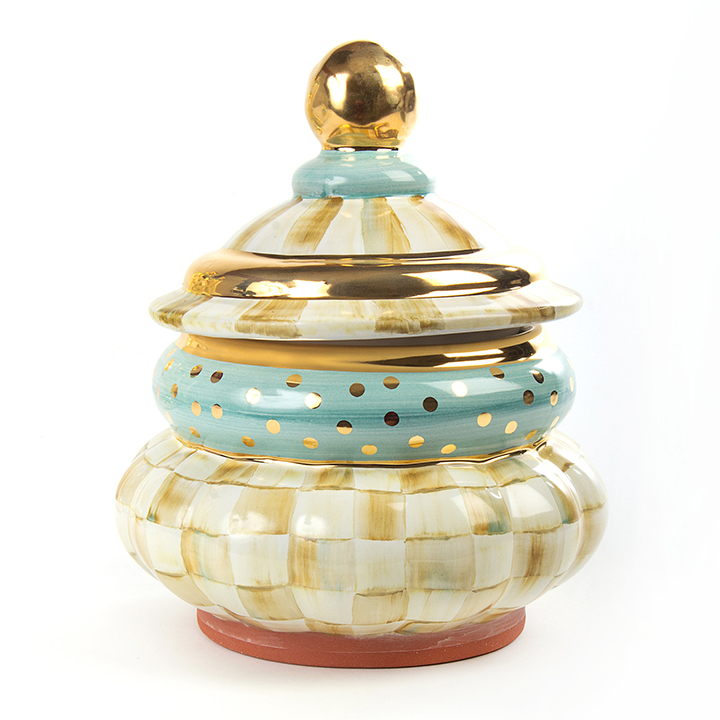 thirteen: Parchment check groovy canister, by Mackenzie-Childs, available at Three French Hens and B. Davis Design. fourteen: Blue wood vessel, available at The Rusted Chandelier.